Please note, we currently cannot get cabinets from this particular supplier. So, we will not have cabinets available until, and if, we can get suitable cabinets from this or another supplier. 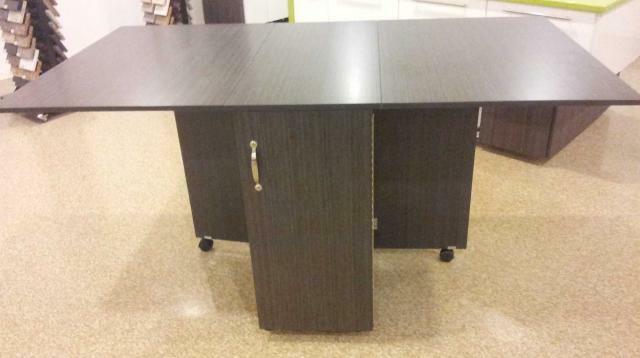 We have a line of sewing cabinets and cutting tables that are Made in Canada. Quality of materials and manufacture is very good. Following is a sample of the units, others are available. Colour samples are below. 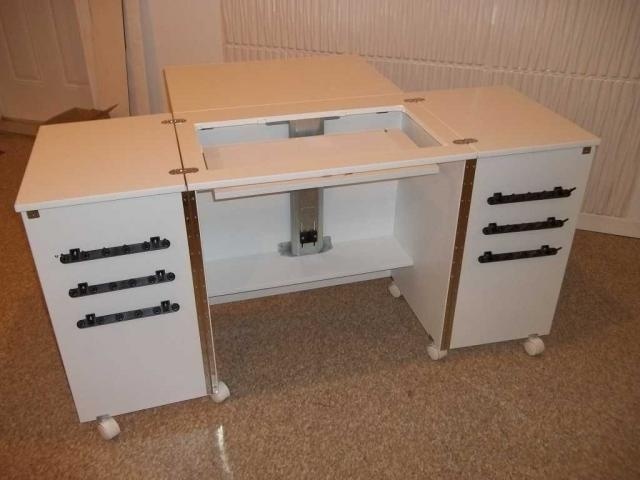 For the sewing machine cabinets, acrylic cut out inserts are available to fit various sewing machine models into the cabinet opening, providing a flat sewing surface. 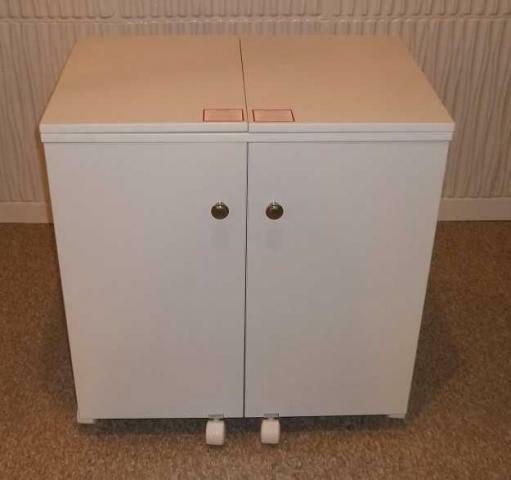 Also, each cabinet has casters for moving the cabinets as well as a lift unit for the sewing machine which can easily be set in one of three levels - up for free arm, lowered for flat bed, or fully down for storage. This closes into a tidy cabinet, and when open, has one panel extension on each side. There is also an extension panel on the back that can be raised or lowered as needed. Dimensions are: Closed = 29” wide, 29 3/4” high, 20” deep: Fully open = 58" wide, 29 3/4” high, 40” deep. There are three other versions of this cabinet in smaller sizes, all include the machine lift unit. J12A - Like J13A but without the back panel, also closes into a tidy cabinet. J11A - Has the back panel like J13A but no side panels, cabinet front does not close. J10A - Centre unit only, no panels, cabinet front does not close. For more information, please come to our store. More pictures will be posted here as they become available. 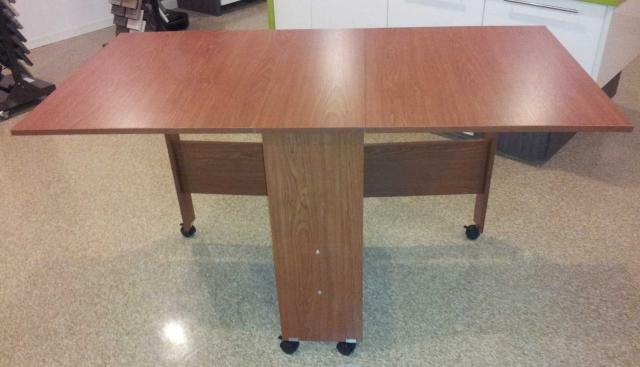 This model is wide, and has has a full width back panel that can be raised or lowered as needed. 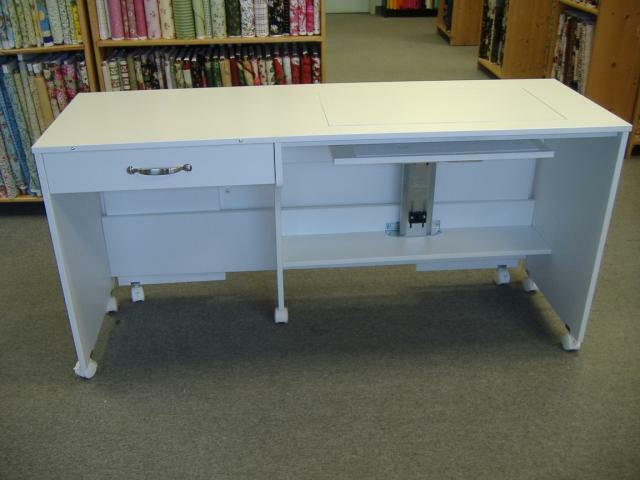 This doubles the size of the top to provide a larger working surface. There is also one drawer on the left, which can be used to hold the included panel to create a flat surface extending out the front. 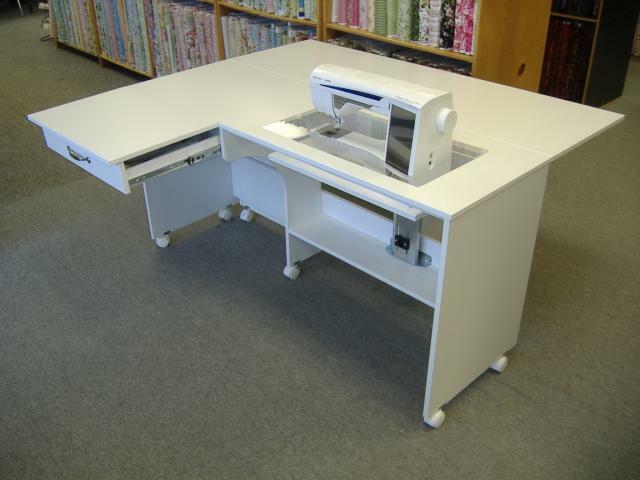 The lift unit allows the sewing machine to be easily raised and lowered. Dimensions are: 60" wide, 29 3/4" high, 20" deep (40" deep with back panel up). Also available is an optional 3 drawer unit (J06A, not shown), which can fit under the existing drawer, or used on its own. J90 - smaller of the two, open position. Dimensions open = 61" wide, 35" high, 31 1/2" deep. This unit folds down to a small size and has no built in storage areas. Dimensions open = 71 1/2" wide, 35" high, 39 1/4" deep. 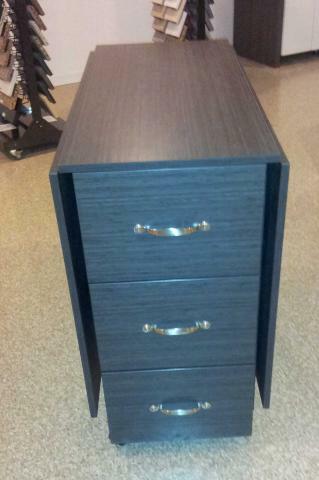 This larger unit includes storage areas - drawers on one end, door on the other. All units above are available in the following colours. The following four colours are available.